We manufacture an exclusive range of Laboratory Microscopes for meeting the specific needs of the clients. We have designed and developed easy to operate range of Laboratory Microscopes suitable for students, researchers, doctors, pathologists, etc. 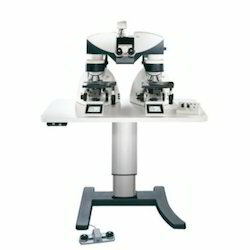 We make available Laboratory Microscopes at competitive market prices. We are one of the illustrious organizations that is offering a wide assortment of High Precision Comparison Microscope. These microscopes are designed from quality approved basic material and thus ensure to provide a qualitative range to the customers. Additionally, offered microscopes are tested on numerous parameters of quality under the guidance of well qualified and experienced professionals at modern manufacturing unit. With the assistance of talented professional, we are able to provide to our customers with a best quality collection of Metallurgical Microscope. Highly appreciated in the industry owing to their reliable performance and high functionality, these are enormously demanded. Apart from this, this product is tested in terms of quality before final shipment at clients end. Apart from this, we are offering these products at very reasonable prices to our valued customers. Viewing Head Siedentopf type binocular head. Illumination 6V / 20W Kohler illumination, Epi-illuminator with iris aperture diaphragm and iris field diaphragm, 6V/ 20W Halogen Lamp, Brightness & Center Adjustable. Filters Blue, Green, Yellow & Ground Glass. By maintaining our sync with the latest market developments, we are offering a huge collection of Laboratory Stereo Microscope to our customers. All these products are manufactured from quality assured components after conducting a stern quality examination. Apart from this, we deliver these in high grade packing material to our valued customers so as to maintain their durability at our clients’ premises. We are one of the most reliable and trusted companies which are extensively engaged in providing our clients a much wider range of highly appreciable quality Laboratory Microscope in the market. Our product range also includes one of the most exclusive quality binocular pathological microscopes. 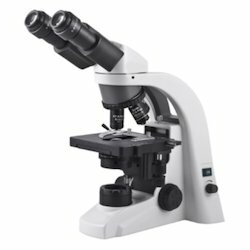 These binocular pathological microscopes are made up of very tough and tensile quality raw materials and are very durable and very effective for lab uses. 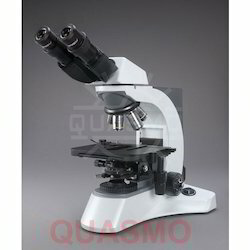 We have all the infrastructural facilities required for the manufacture of these binocular pathological microscopes and bringing them forth in the market at a very customer friendly range of prices. Justifying our position in the industry, we are providing an exceptional collection of Laboratory Microscope. By accurately understanding the demands of our customers, well qualified professionals manufacture these products using high class components and raw material. Moreover the entire range is examined on various quality norms before prior shipment to the customers. Additionally, our customers can avail these microscopes in various specifications from us.